Seagate announces the Samsung Wireless Mobile Streaming Device. Huh? Seagate announced a new family of Wireless Plus hard drives on May 6. Today, it’s announcing the Samsung Wireless Mobile Media Streaming Device. What gives? Before delving into the back story to explain why Seagate is announcing a Samsung-branded device, allow me to explain what the Samsung Wireless Mobile Streaming Device is. This a 1.5TB mechanical hard drive with a battery and an embedded 802.11b/g/n Wi-Fi chipset. Samsu— err—Seagate is specifically targeting the Android market with this drive. The drive can operate as a typical portable hard drive, with both a USB 3.0 port and a USB 2.0 port. You can use either one for file transfers, but the latter is also used to charge its battery or to charge the battery in another device, such as a smartphone, tablet, or digital media player. The drive will come with an AC adapter with multiple power tips to provide compatibility with worldwide markets. The hard drive creates its own Wi-Fi hotspot, so you can stream music, movies, and photos to a wireless client. That device can be a PC, Mac, or any of the other classes of device I just mentioned, but Samsu— err—Seagate is specifically targeting the Android market with this drive. The drive will come with an Android app for playing music, movies, and slideshows. The Mobile Streaming Device can also connect with another wireless network and pass through Internet access to its own clients. The Samsung Wireless Mobile Media Streaming Device will be available later this month for $179 (at Newegg.com first, and then in wider distribution). This drive sounds a lot like Seagate’s own Wireless Plus, which we reviewed in April 2013, right? Sams—err—Seagate assured us that a separate design and engineering team at Samsung (as in Seagate’s Samsung operation in Korea, not Samsung’s Samsung operation in Korea) developed the product from the ground up. And now for the backstory that explains why all that was necessary: Seagate acquired Samsung’s mechanical hard drive operations in 2011, but China’s Ministry of Commerce objected to the deal. In order to close the transaction, the regulator stipulated that Seagate must continue independent operations of Samsung’s brand, but that Seagate could apply to have this condition reconsidered in one year. Two and a half years later, China’s Ministry of Commerce still has not removed its conditions. 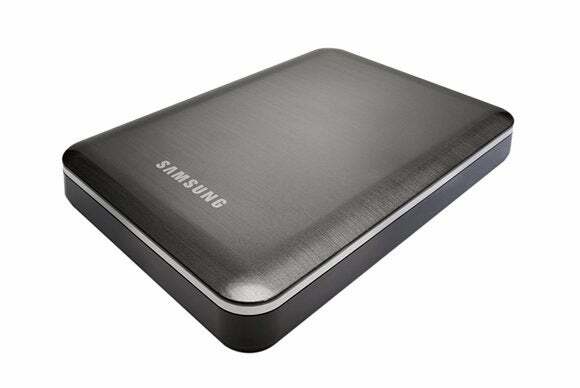 Seagate's Samsung hard drive division will be shipping us a drive sometime soon. Stay tuned for our hands-on review.